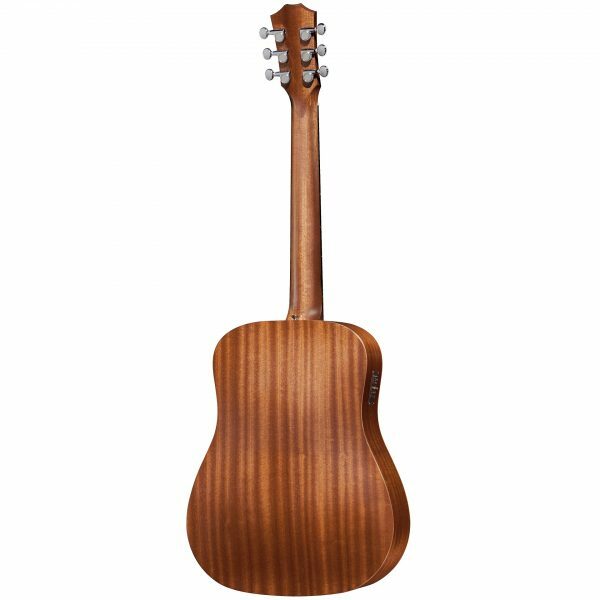 The ¾-size Baby Taylor firmly established the travel guitar category years ago and today is more popular than ever. 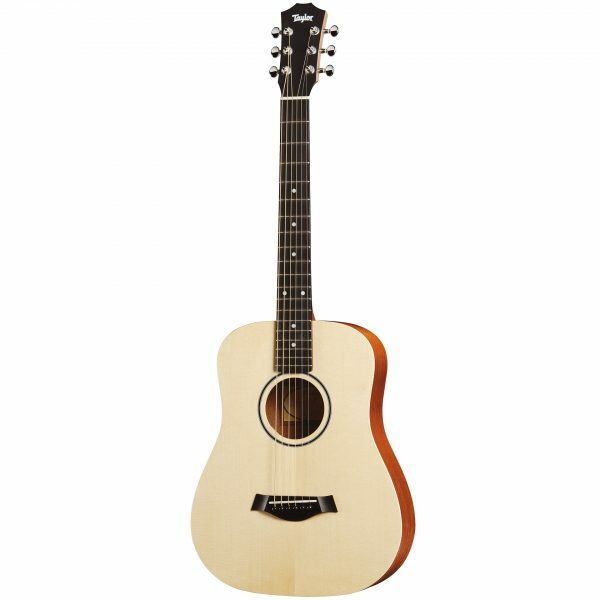 At the heart of it all is an authentic guitar sound and inviting playing experience. 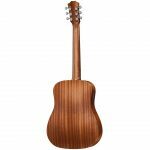 Featuring a layered sapele back and sides and a top of solid Sitka spruce, you can add a capo, high-string it, tune it down, play it around the campfire, help your kids form their first guitar chords, and more. 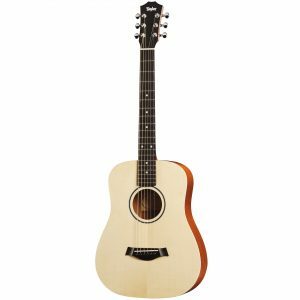 Another handy feature on this edition is the Expression System Baby (ES-B) pickup, which incorporates piezo design elements from the Taylor ES2. The pickup is powered by an onboard preamp with a built-in digital chromatic tuner. The preamp/tuner unit features an LED display for tuning and low battery indication, along with Tone and Volume controls.